mSR Series maximizes an application’s design, not its footprint. Parker’s Electromechanical Division is pleased to announce the release of the mSR (miniature square rail) positioner. 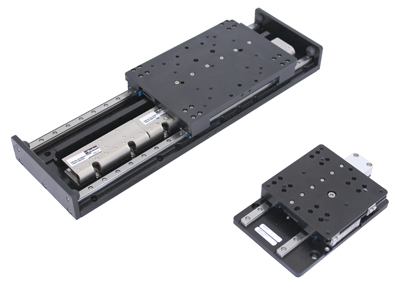 The mSR series of miniature, dual square rail guided, linear motor positioners has been engineered to deliver a combination of modularity, flexibility, and performance in an extremely compact package. The combination of size, high precision, and all the features mentioned above make the mSR the ideal positioned for a number of high tech industries. The mSR’s low profile and high precision make it ideal for life science applications like microscopy or digital pathology. The mSR might also prove ideal in semiconductor metrology applications due to its straightness, flatness, and high precision. The combination of small size, yet high acceleration and speed capacity, also make this a desirable positioner for electronics manufacturing.